Time Portal Publications, Inc. is dedicated to the development of consciousness and the investigation of the subtle processes which define, augment and awaken the human energy system. Janet Iris Sussman, the President of the corporation, is a long-term practitioner of meditation, intuitive counselor, writer and musician. Her blogs are The Lion's Maw, Chakragyam, and The Starfish Series. For over twenty years, Janet has been developing unique systems of intuitional counseling, transformational music and spiritual narrative sourced from higher mental and super-conscious processes. Janet is able to cognize the inner mechanics of awareness, viewing the human energy system through "layers" which unfold the stature of the soul to its full glory. The areas she emphasizes include life purpose, creative development, physical and emotional well-being, and personal relationships. In addition to her full-time counseling practice, Janet facilitates ongoing classes, weekend seminars, and in-depth personal training sessions in which she shares her original methodologies. Areas of investigation include: the strengthening of intuition, understanding the challenges and joys of the heart, and witnessing the balance of refinement between the soul and the personality. Janet's ability to "hit people over the head with a feather," often allows her to peel back the embedded system of psycho-spiritual defenses that inhibit the person from being their whole self, free from fear. The opening into Divine Love that ensues from these meetings is powerful, transcendent and unmistakable. Due to her ability to cognize information in many different areas of human endeavor, Janet is able to provide concise, detailed information that can be of benefit to participants in many different intellectual and emotional frameworks. Janet has cognized a system of subtle energy balancing called Sunpoint™, which works to enhance the core identity of the individual and bring an experience of transcendent wholeness. Sunpoint can be practiced hands-on or as a long-distance healing methodology. This method can be transferred to individual practitioners for their own use and in the support of others. Janet also utilizes music as a means of relaxation and as a point of departure into a journeying process of the spirit. Her highly developed vocal skills bring the listener into a direct, primary knowledge of the chakras (human energy centers), acting as a core indicator of blockages and anomalies stored in the field. Janet's loving, clear translation of subtle imagery opens the participant to a clear, insightful examination of their inner state. She specializes in researching the movement of energy through the heart chakra. She views this model in terms of "stations" through which primary energetic conduits transfer knowledge from one spiritual chamber of the heart to another. The emphasis is on opening the individual to a deeper experience of receiving from both personal and Divine sources of love. This can then be transferred to the "giving chamber" of the heart which governs the flow of energy to the environment. Janet's fundamental objective is to support the transformation of the different areas of human endeavor in light of spiritual knowledge and practice. This includes the disciplines of education, counseling, medicine, and the arts. A pioneer in the field of time and consciousness, Janet is the author of The Reality of Time (2005) and Timeshift: The Experience of Dimensional Change (1996), both published by Time Portal Publications. Both books has received consummate praise by notable individuals such as Jean Houston and Fred Alan Wolf. Other works in progress include volumes on space and matter to complete a trilogy begun with The Reality of Time. 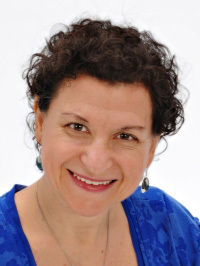 As a musician, Janet works with transformational music and sound to clear and awaken the energetic centers. Her piano CD Bridges is a "beautiful, exquisite, and uplifting" example of her musical philosophy. Her followup CD Subtle Bodies includes her vocal and synthesizer compositions as well.